I’M NEW TO THE STUDIO, WHERE SHOULD I START? If you’re new to MLP Pilates Studio your journey will start with an initial assessment to give the instructor an opportunity to understand your needs, body and goals. The Assessment is one on one with your instructor and goes for 1 hour. To book click on the link below or contact the studio for further details. For your first assessment please arrive 10 minutes before your session to allow you to fill out the pre-exercise questionnaire and become familiar with the studio. For all group classes please arrive no earlier then 5 minutes before your session to allow the teacher to finish with the session before. If you arrive after, we are happy for you to join the session however you might not get the full hour. 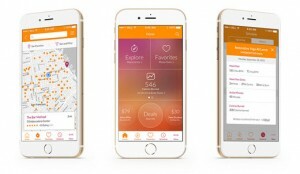 Download the MindBody app and search for Melissa Laing Pilates. Once an account is made you can use the app to book, waitlist, cancel, reschedule and purchase your classes. You can also book your studio or Master sessions from our timetable. If a class is fully booked you can join the waitlist and receive an email and text notification once a spot becomes available. You can respond with a Y to accept your spot or an N to decline and pass it on to the next waitlisted person. It is your responsibility to keep check of your emails and texts for the waitlisted times. Reception works really hard to ensure all clients make their favorite sessions where possible so don’t despair if it is full, just use the waitlist and we will do our best to get you in. We understand that life can be hectic and understand the importance for taking time for your self. For this reason and the benefit of our clients on the waitlist we have a 24hour cancellation policy for all sessions including Studio, Master, Privates and Assessments. If you late cancel and we are unable to reschedule you within the same day, you will lose your session. This procedure is for all payment types including memberships. Any cancelations before the 24hours will not be late cancelled and the session will stay on your account. Cancellations can be done via the Mindbody App, website, email, phone or in person. Please always let your instructor know at the beginning of each session if there are any new or current issues or if you are not feeling your best during the session. Even if you have just found out you are pregnant your instructor needs to know, it is important to let the instructor know prior to your session. Your information is completely confidential and will be noted onto our system for the instructors use only. If you have any quires regarding your journey with Pilates and your pregnancy always speak to your instructor. HOW MANY TIMES PER WEEK SHOULD I COME TO SEE RESULTS? We recommend our clients to attend 2-3 session per week however understand everyone’s circumstances are different. Every client experiences the effects of Pilates differently – a single workout can make a physical difference but more commonly you will notice a difference after 4-5 sessions. If you are attending a session in the evening, early in the morning or on a Saturday press the buzzer to the left hand side of the main door to the building (you may have to turn your back to the door to see it) and we will buzz you in! WHAT STUDIO FACILITIES ARE THERE AT MLP? We provide water, daily herbal tea and fresh towels. There is a change room as part of our studio and freshly renovated toilets on the floor of the building. We ask that you wear comfortable non-gaping gym clothing that is easy to move in. All clients are required to wear socks during their session and MLP provide a verity of socks that can be purchased. Our studio has been running since 1994 and our clients feel like family to us. It is because of our clients input that we developed our own easy and affordable memberships. They offer a way for you to attend regular sessions at a discount rate with fortnightly payments direct debited from your chosen account. Members receive 10% off all products and private sessions as well as other membership specials throughout the year. There are no joining fees with our memberships and they can be suspended for up to 3 times a year at no charge. Our memberships allow you to go away for 6-8 weeks without loosing any sessions and can be cancelled after 12 weeks free of charge. EASY! What better way for MLP to reward the loyalty and commitments of our clients then by offering Perkville Points. Perkville is a point based loyalty program that allows you as the client to decide how you would like to spend your points within our studio. HOW MANY PERKVILLE POINTS DO I NEED FOR A FREE SESSION? Ensure you have accepted our Perkville Invitation. Click HERE if you have not yet set up your Perkville account.